Need a baby? Call the fire department! Submitter: Target audience on cover flap: K-3. 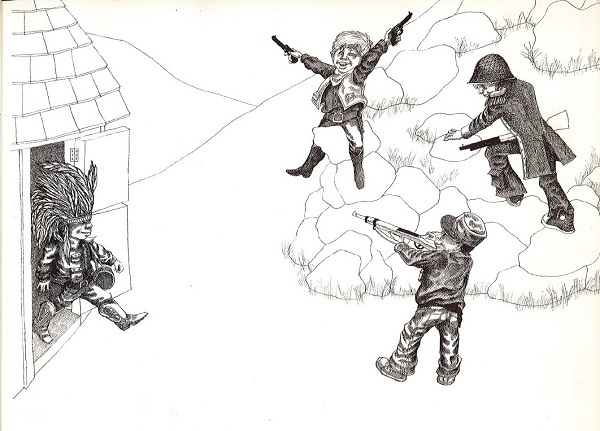 In today’s climate, kids shooting guns, kids aiming guns at one another – heck, guns in general! 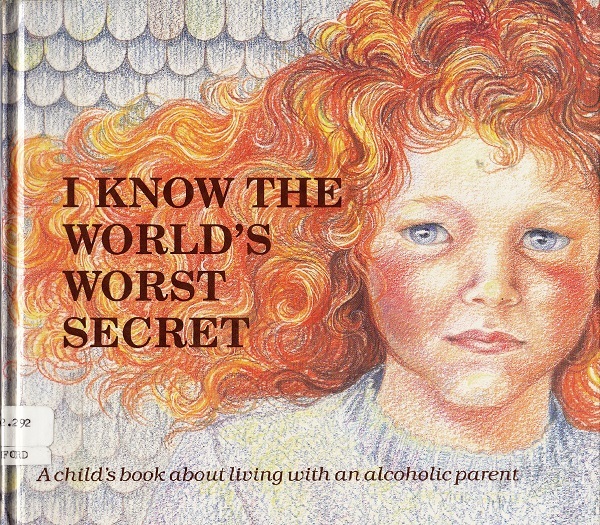 – in a children’s book are tough to explain. 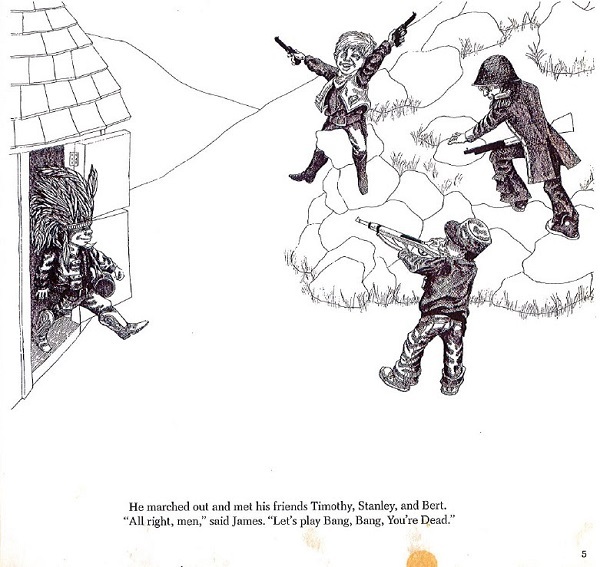 Some of the text, such as “‘I got you dead,’ said Bert. 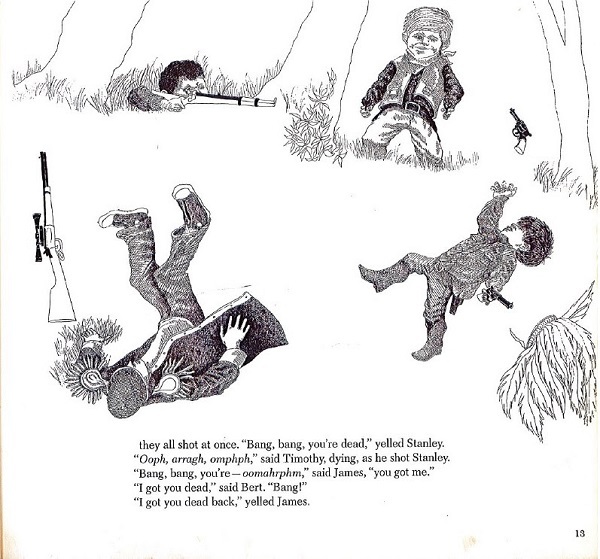 “Bang!’ ‘I got you dead back,’ yelled James. They all lay dead.” and “’Yeah, we’ll fix those skunks. Let’s chop off their heads!’”will touch a nerve it probably wouldn’t have touched in 1969. The kids fight and treat each other terribly, calling nasty names and actually bloodying each other’s faces. While in the end, they all agree to share, they walk away dripping blood from their faces. 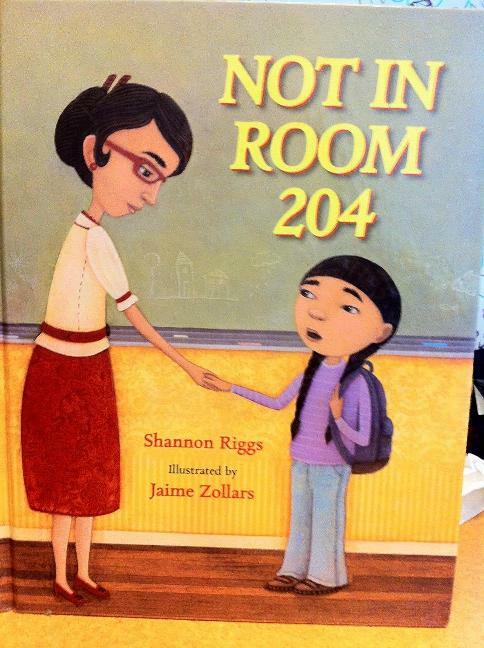 I found this on the shelf today, and given Newtown (we’re in Connecticut!) and Orlando, and all of the other gun violence… this is a truly AWFUL library book. I can’t weed it fast enough! Previous Post:Too much Chicken Soup? Next Post:Need a baby? Call the fire department! 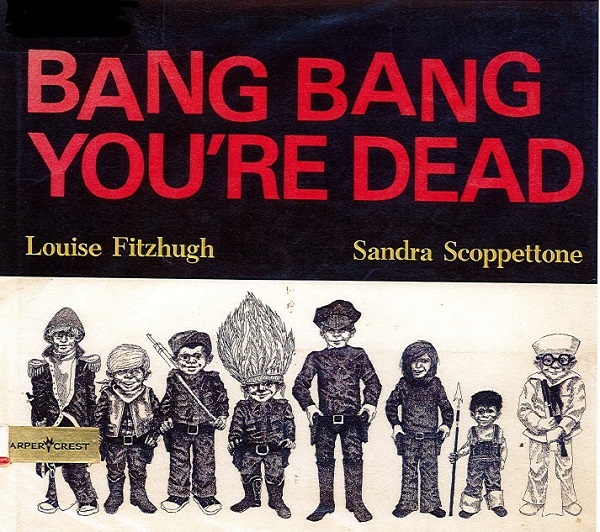 Sandra Scoppettone wrote a number of similarly unhappily titled books, such as “Let’s Face the Music and Die,” and “Gonna Take a Homicidal Journey.” I understand that children and adolescents are fascinated by the subject matter, but a lighter hand is needed these days. There was a rhyme when I was a kid: “Bang, bang, you’re dead/Fifty bullets in your head/Brush your teeth and go to bed/Then you’re dead.” What were we thinking? You know, kids still play games like this all the time. Here in the UK, while we see the news about mass school shootings, etc, it’s not really something that impinges on the consciousness of a 5 or 6 year old. Yet, they get to watch Star Wars, and learn about pirates, and somehow have a fascination with guns, and what guns do, even when, as a parent, that’s the last thing you want them to do. So they end up playing games, very similar to the ones portrayed in the book, in the playground. 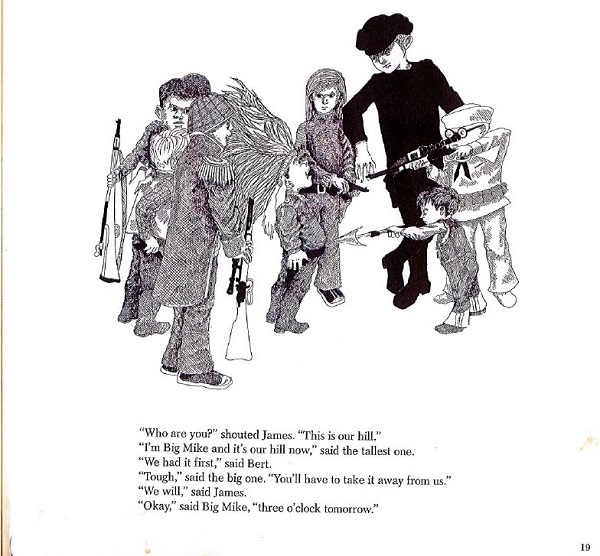 While I agree that we don’t want to encourage kids to engage in violent role play like this, they still do, and I think that this book is closer to the realities of children’s play than you might think. 2016: Holy @#&! 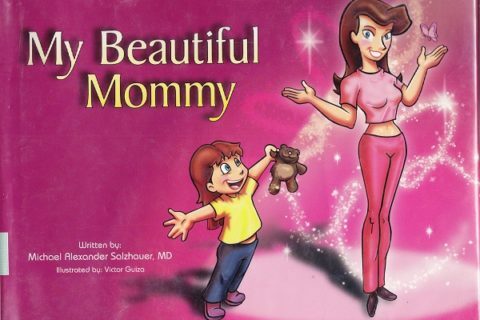 !, what sick mind would let their kids read this?!? Children’s and YA were never my strong areas, so I’m kind of tone deaf on what is/isn’t good these days. I can remember playing games like this when I was little, but that was a l-oo-ng time ago. We were also racist and sexist, bless out tiny hearts, but times have certainly changed. I don’t think this is the kind of thing we should be encouraging in today’s world. The kids in my neighborhood grew up playing “Cowboys and Indians” or “Japs and Germans and Soldiers.” And I had to pretend-shoot everyone TWICE because I was a girl. Now, if my grandson called someone a “Jap” within my hearing, he would be marched inside and serve the longest time-out of his life — and then he’d have to write to his Aunt Rie and Uncle Wayne in Japan and apologize. I know this book wouldn’t be published today, but unless I intervene, this is the type of game that my son (age six) and his friends still play together. The book seems true to life. I do worry about the one little boy who can’t ever think of any game to play *but* shooting games. Most kids will at least play trucks or robots for a while. Too bad you weeded it. 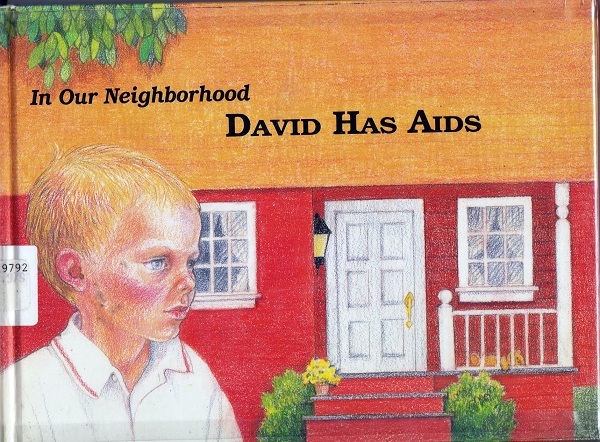 This is a book that really made me think as a kid. Its message is genuine and important – war is hell and in the end, there are no winners. I LOVED it back then. I hated these kinds of games as a kid. If someone pretended to shoot me and yell “You’re dead!” I would get really upset because I knew what death was, and it was scary. In fact there were a couple of scary games our teacher had us play in class that also made me cry and get upset, and they had to put in the hallway and talk with me so I would calm down. One of the games had one of the kids pretend to be a witch who would catch children so she could eat them. And if you think I’m some kind of a girly-girl, I used to go hunting for frogs and insects and sometimes played with action figures. Forget the potentially controversial content. How many modern kids are going to chose something black and white, with small Times New Roman writing and a faded cover as well, over the latest Mo Willems picture book? It’s the lack of shelf appeal that makes this an Awful Library Book, in my opinion. Is that one kid Donald Trump?! Even ignoring the content, the book itself is yellowed on the edges and has a weird orange fingerprint smudge on the first page. It looks grimy so a definite weed.